One of my favorite bands as a young, surly teen was Siouxsie and the Banshees, whose front-woman Siouxsie Sioux was a gothic chantress who howled like a mythological siren—luring you with her tales of travel and woe. So when I came upon Elliot O’Donnell’s book about banshees I simply had to dust off the old vinyl (for you youngins’ whose main experience with vinyl is the sheath you keep your iPod touch in, I am referring to a vinyl record) and paint on some heavy eyeliner so I could have a good ol’ fashion Banshee Bash. Banshees are among the most feared creatures of the fairy kingdom, and this may be in part to the sympathies they invoke when you hear their wailing. You could easily be lured into the dark of night, hoping to help the pathetic creature who sounds as if she is in mourning. Some tales recount that banshees are the ghosts of women who have died in childbirth; others say they are the restless sprits of unrequited lovers. 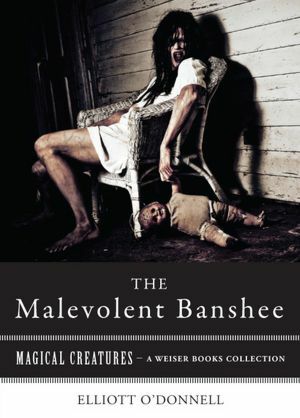 Check out the story of The Malevolent Banshee available now as an e-book. This entry was tagged banshee, celtic, death, Folklore, gaelic, irish, mourning, Siouxsie and the Banshees. Bookmark the permalink.